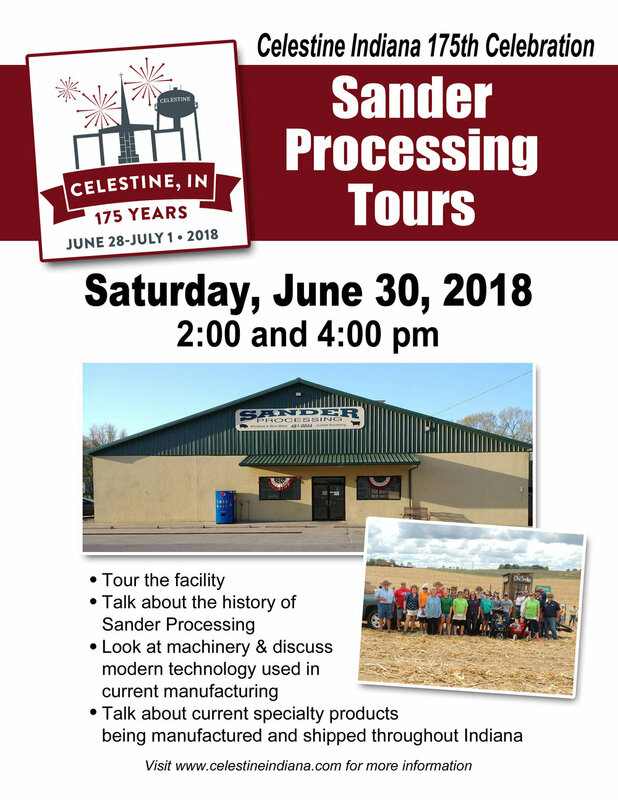 Be sure to plan to attend one of the two tours of Sander Processing on Saturday June 30th at 2 and 4pm. The local business is one of the landmarks of Celestine as people from hours away bring meat to be processed by Sander Processing. The event includes a tour of the facility, the history of Sander Processing, a look at the machinery used and discussion of modern technology used in current manufacturing. Also a talk about current specialty products being manufactured and shipped throughout Indiana! Click HERE to download a PDF version of the flyer.